Production of the new Insight in Indiana and Accord Hybrid in Ohio helped the Honda brand to all-time record production and sales of electrified vehicles in 2018. Civic finished 2018 as America’s top retail-selling car and is the best-selling vehicle in the U.S. millennial, multicultural and first-time new vehicle buyers. 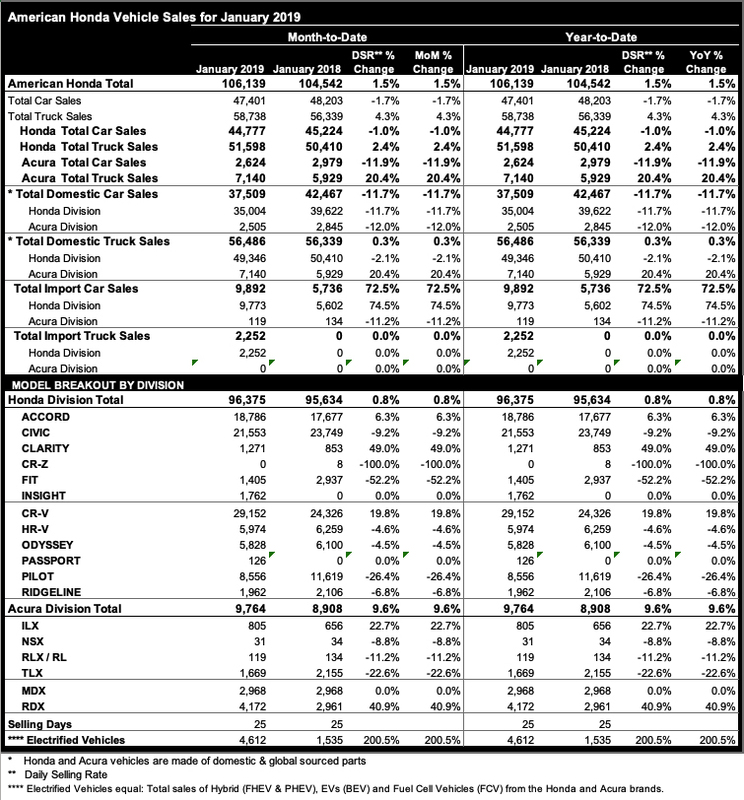 Acura was the only top-5 luxury brand with positive retail gains in 2018 and carries this momentum into 2019 thanks to a strong month from RDX and ILX. The Acura brand was born in the U.S. and with 5 out of Acura’s 6 models built in Ohio, about 99% of all Acura sales are made in America.